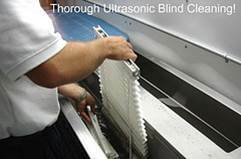 Choose Window Wizard for state-of-the-art ultrasonic blind cleaning performed right at your home. No need to wait! State of the art, ultrasonic technology eliminates dust, allergens, pollens and all contaminates, giving you the most thorough cleaning possible. Let Window Wizard protect your investment by removing, hand-cleaning and polishing your real wood blinds. A thorough deep cleaning that will restore the brightness and luster to your blinds or shutters and accomplish much more than periodic dusting. 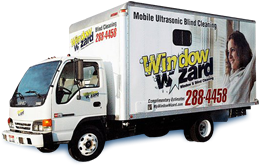 Window Wizard’s experts utilize a variety of cleaning techniques to get the best result for your window coverings. Just drop by our Meridian office. Our office hours are Monday to Friday 8am to 5pm. 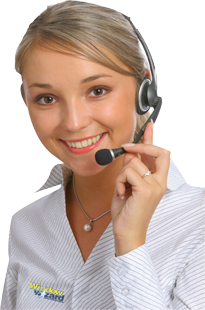 Your company is always so friendly and nice to talk to! Our mini blinds turned out beautiful! It is amazing how new they look after they go through your cleaning process. My neighbor didn’t know you did blinds but will certainly ask about it in the future. Thank you so much! The blinds look brand new. My wife was out of town and she has been asking to have her blinds cleaned for a long time now. I thought I would surprise her! She loved them! Everything looked very nice!